CRICK, Larry – on September 5, 2018 at the Brantford General Hospital in his 66th year. Survived by his wife Suzanne. 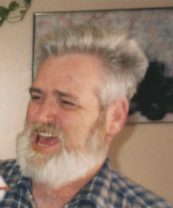 Larry also leaves behind three sons, James, Damian and Joshua, five grandchildren, Katrina, Duncan, Travis, Aries and Haydes and three great grandchildren, Phoenix, Aleric and Jackson. Larry will be greatly missed by family and friends. There will be a celebration of life for Larry at the Moose Lodge at 145 West St. on October 20th, 2018 from 1pm to 5pm. Everyone is welcome.